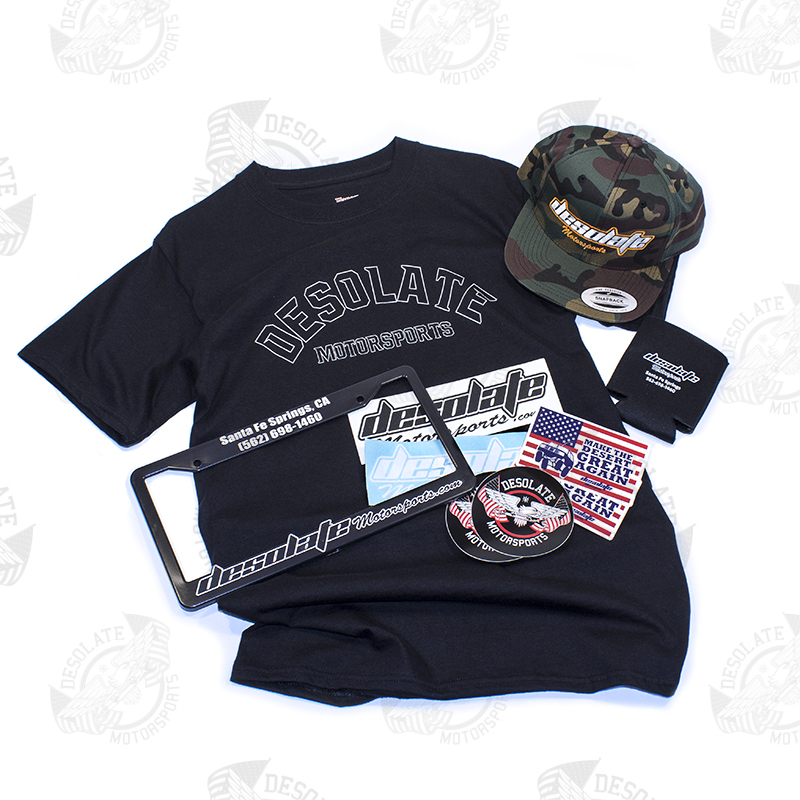 This Pro Pack includes several items of Desolate Motorsports merchandise grouped together for a discounted rate. 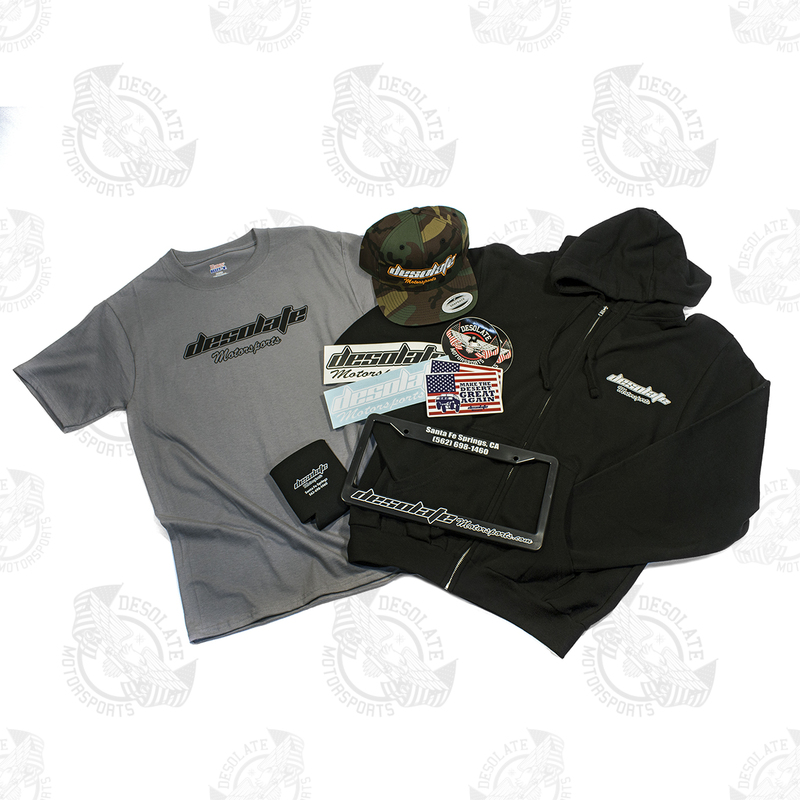 Our Pro Pack includes a Desolate Motorsports hoodie, one random Desolate Motorsports T-shirt, and one of our snapback hats in a random color. 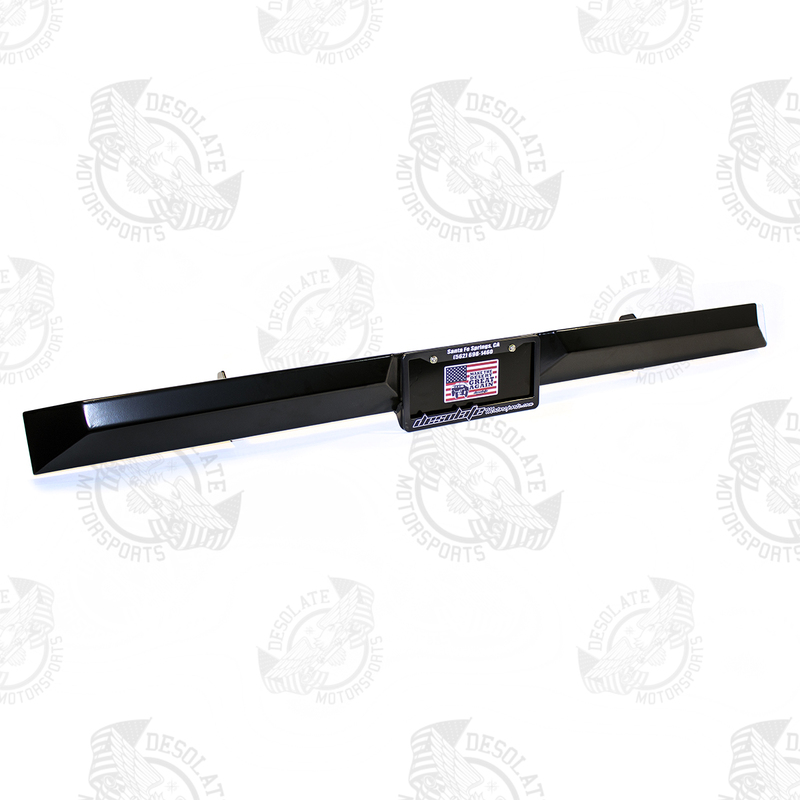 As a part of the Pro Pack, we’ll throw in a sticker pack and license plate frame. Just select your size for the shirt and hoodie. This package is valued at over $90!